Spring is in the air, and with it comes the March edition of the RESCON newsletter. Recently the MMAH released an announcement on inclusionary zoning, a band-aid solution that doesn't solve the issues related to the GTHA's depleted housing spectrum. When the government announced it was giving power to its cities to make builders include affordable housing in their projects, it made a lot of us scratch our heads - with affordability already out of reach for many millennials and middle-class families, how is this going to help? Answer: it isn't. Why? Because now they're being asked to pay for other people's housing too. Is there room for inclusionary zoning in these people's personal budgets as their incomes continue to fall? I would hazard a guess that there isn't. 1. Lowered development charges. In 17 years, DCs have risen by 1,259 per cent. Who pays for those? The new-home buyer. 2. Cut some red tape. Our industry answers to 45 different government agencies and bodies with no real oversight on their collective actions. That takes a lot of time, which costs money. And who pays for this? The new-home buyer. 3. Read our report on affordability (see Toronto Sun and Globe & Mail articles below), which notes that when you increase the supply across the housing spectrum, new homes become more affordable. Please check out the great media coverage our office has been getting recently in the links below, including the Globe's and National Post's look at RCCAO's infrastructure bank report. There are also stories on the federal budget with comments from both RCCAO and RESCON. 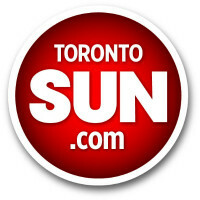 Media coverage of the CANCEA housing affordability report, financed by RESCON, continues as Richard Lyall writes a two-part series for the Sun. The first focuses on the report's launch, attended by Minister Ted McMeekin and Toronto Councillor Ana Bailao where the GTHA's shortfall in its housing spectrum was discussed; Part 2 looks at the ground-breaking SCAR index, which we believe will become a mainstay of measuring housing affordability in Canada. Leading housing columnist Rob Carrick digs into CANCEA's SCAR index, taking to its practical and comprehensive measurement of housing affordability. One in four households is under significant pressure in Ontario: this is an issue that needs to be taken very seriously. Lyall tells DCN that the GTHA desperately needs more three- and four-bedroom condos in downtown areas for young families and couples that want to have families, as he discusses the recent report on residential intensification by the Consumers Council of Canada, financed by ... well, you've already guessed it. RCCAO report author Matti Siemiatycki writes an opinion piece in the Globe's Report on Business section about the merits of "Creating an Effective Canadian Infrastructure Bank," while Post Media's Jason Fekete follows up the next day with prominent coverage of the report (this story was one of 11 published across Canada's largest newspaper chain). 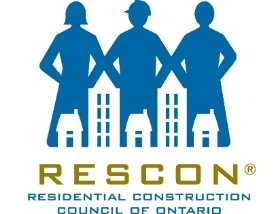 It was a great few days for RESCON's infrastructure colleagues at the Residential and Civil Construction Alliance of Ontario. Read the Globe piece here. Read the Post's story here. RCCAO's Andy Manhan tells the Daily Commercial News that he is happy to see the federal government confirm its commitment to infrastructure in the recent budget. RESCON's Richard Lyall speaks with reporter Lisa Queen of the Aurora Banner and York Region Media Group. Was Lyall happy with the budget? Not so much. Click here for RCCAO's take on the budget. Click here for RESCON's reaction.